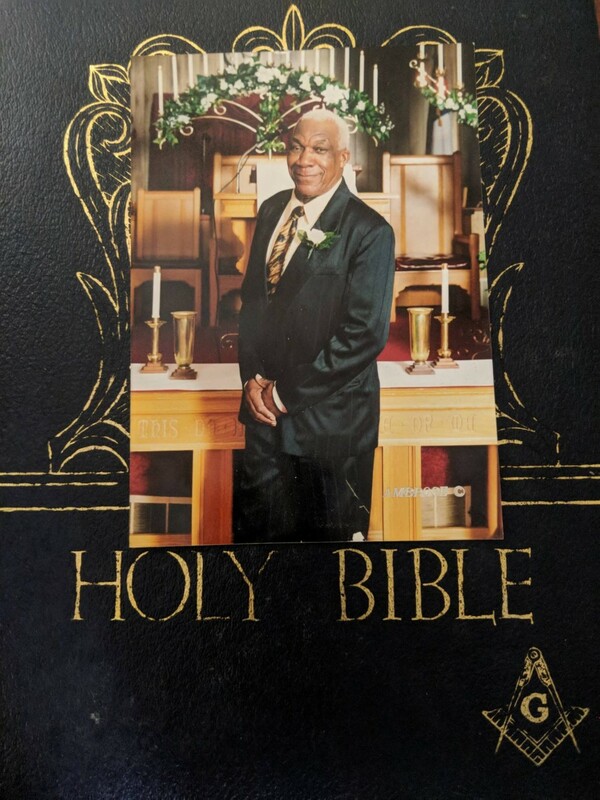 Mr. John Junious “Shorty” Stanfield, age 94, departed this life on Thursday, February 7, 2019 at Person Memorial Hospital in Roxboro, North Carolina. He was a native of Person County and a member of Mill Hill Baptist Church. Mr. John Junious “Shorty” Stanfield was preceded in death by his parents, George and Novella Yellock Stanfield, two sisters and four brothers. He is survived by his wife Mable Lee Wagstaff Stanfield of the home; one daughter Barbara J. Stanfield of Roxboro, North Carolina; five sons Joseph Womack of Rocky Mount, North Carolina; John Louis Stanfield of Hurdle Mills, North Carolina; Charles E. Stanfield of Hillsborough, North Carolina; Reginald J. Stanfield of Upper Marlboro, Maryland; and Dennis C. Stanfield of Hampton, Virginia; ten grandchildren; 7 great-grandchildren; one great-great grandchild; and a host of additional relatives and friends. would like to thank everyone for the many acts of kindness that they received after the death of their loved one.